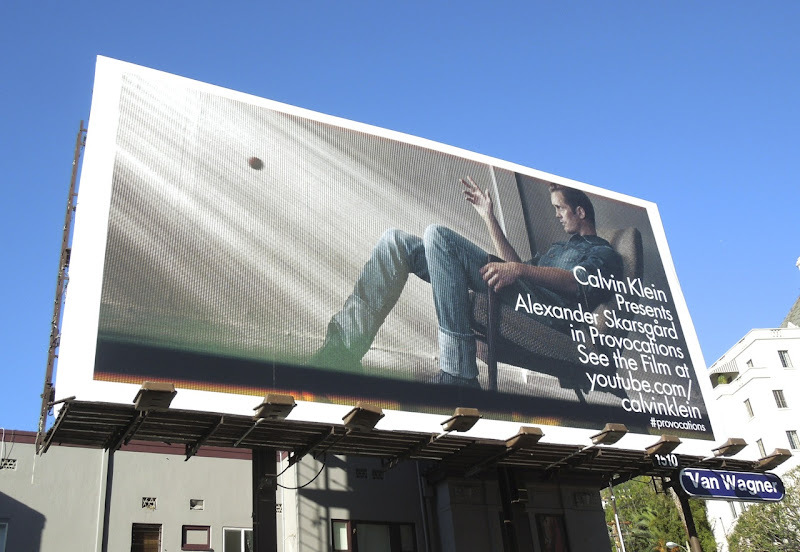 What Daily Billboard likes about Calvin Klein is that the designer fashion brand is always willing to try new things to keep it's offering youthful and cutting edge, like it's new nine minute Provocations campaign film starring True Blood's Alexander Skarsgård. 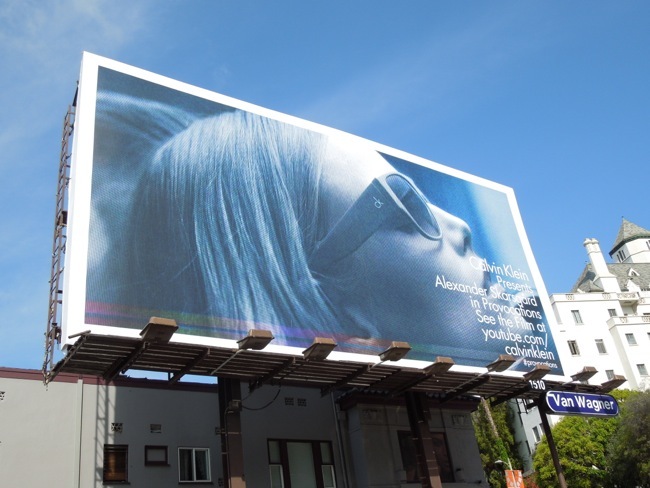 These new billboards are frames from the highly stylized fashion showcase with an arty narrative, with the intriguing Provocations teaser ad snapped at the start of the year on January 17 and the version featuring the hunky actor in denim captured on February 11, 2013. 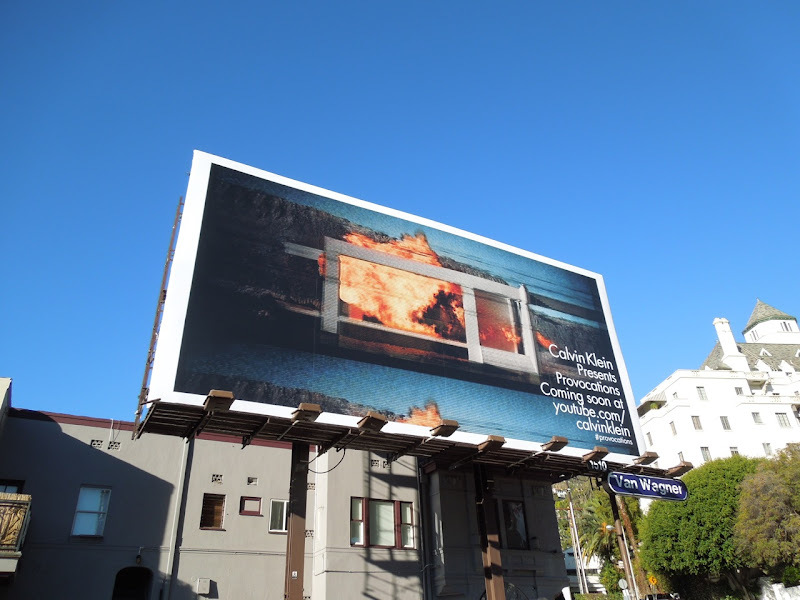 Here's also the short film so you can see what all the fuss is about. If you're a fan of the Swedish actor, be sure to check out this Calvin Klein Encounter fragrance billboard featuring Alexander Skarsgård, his Straw Dogs movie remake billboards, plus of course these True Blood TV series billboards. 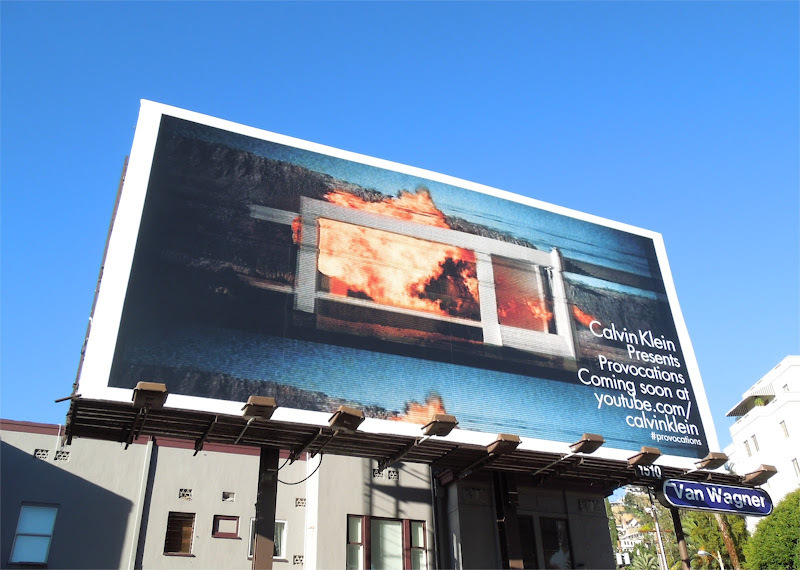 UPDATED: Here's the latest billboard for the Provocations short, this one focusing on Calvin Klein's eyewear (just in time for Summer). 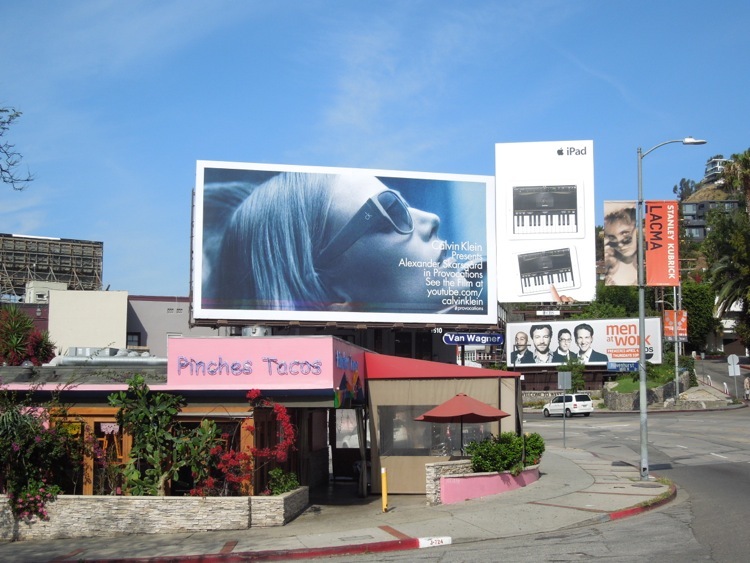 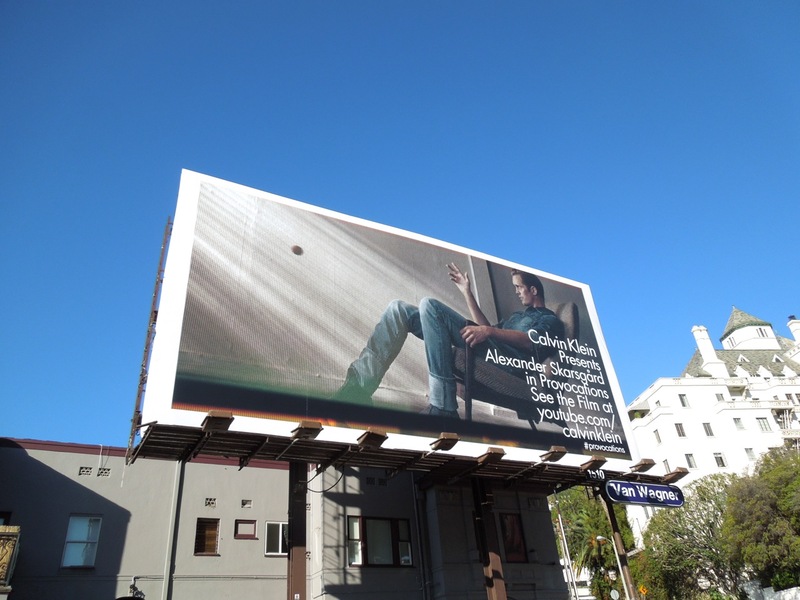 This ad creative was snapped in the same West Hollywood location on May 8, 2013.